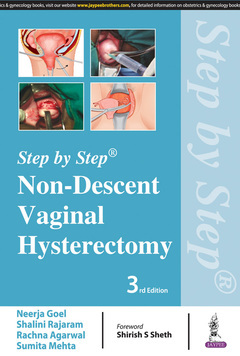 The new edition of this step by step manual provides gynaecologists with the latest advances in non-descent hysterectomy. Beginning with indications and contraindications for the procedure, pre- and perioperative assessment, and anaesthetic considerations, the following chapters discuss different surgical techniques. The third edition has been fully revised and includes new procedures such as the suture-less technique using a vessel sealing system, the BiClamp, and aqua-dissection. The practical text is enhanced by surgical photographs, detailed diagrams and tables to assist understanding.